Pinterest is my go-to for inspiration for the blog, and this has been a good Pinterest week! I came across many gorgeous new images, leading to new discoveries, and my mind has been racing with ideas. The first pin came from Ollie & Sebs Haus, and quite frankly it blew me away. 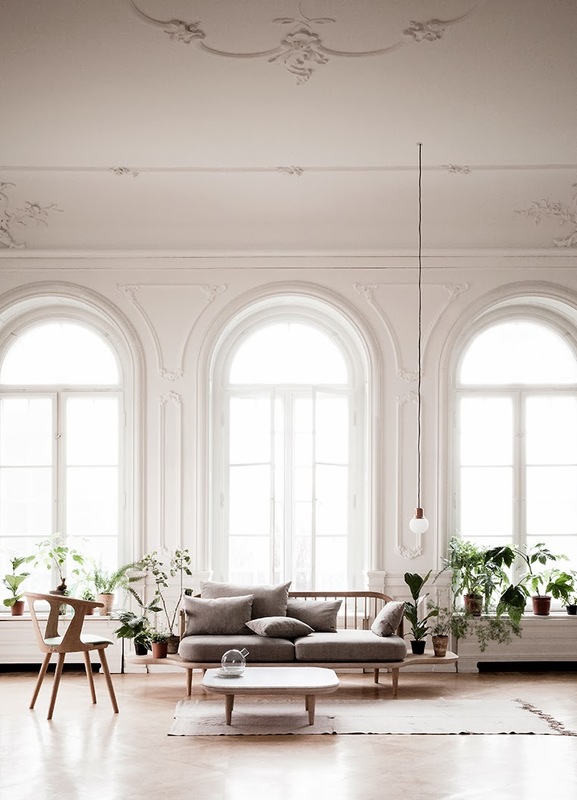 Incredible styling for the Danish design house &Tradtion, the high ceilings, beautiful large arched windows, herringbone floors and greenery provide the perfect backdrop to showcase their stunning range of furniture. Daniella Witte, whose amazing styling talents I often speak of, has had her home shot for an upcoming issue of Swedish magazine Famina. 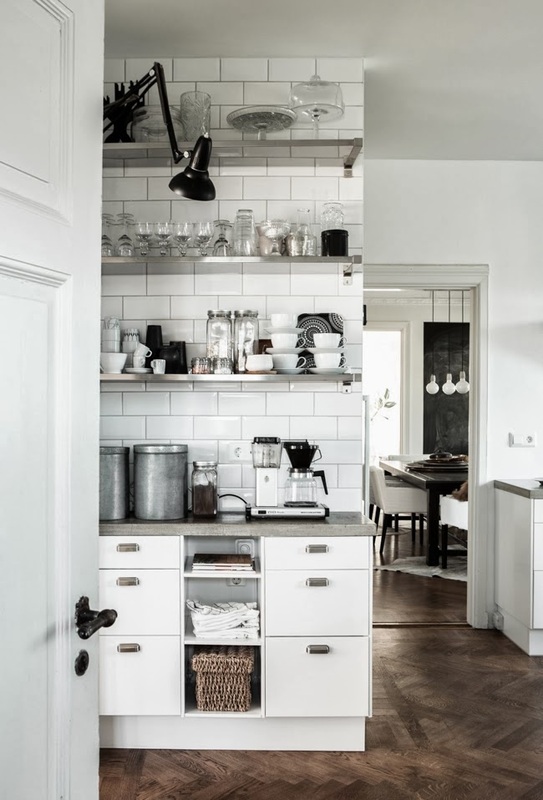 Giving us a sneak peek of her kitchen, Daniella shows how she has achieved a wonderful mix simple Scandinavian minimalism and warmth. 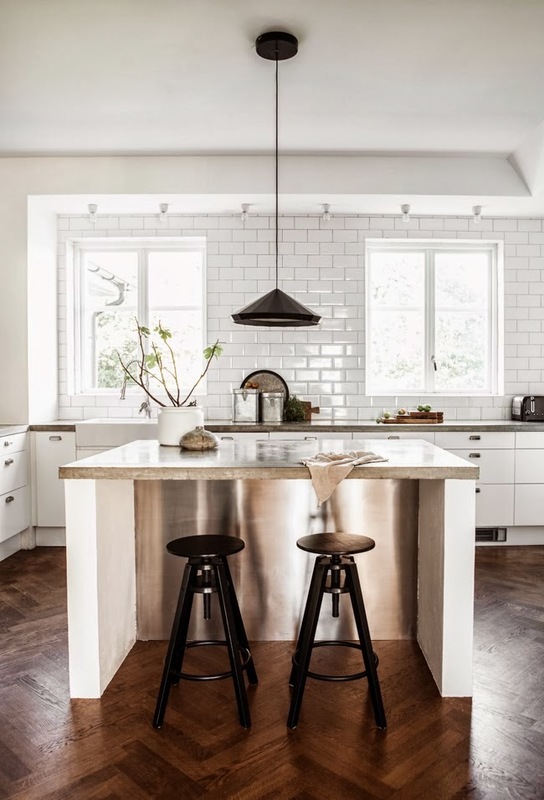 Previously black, Daniella has re-painted it white, which works beautifully with the mix of concrete, stainless steel and glossy subway tiles. 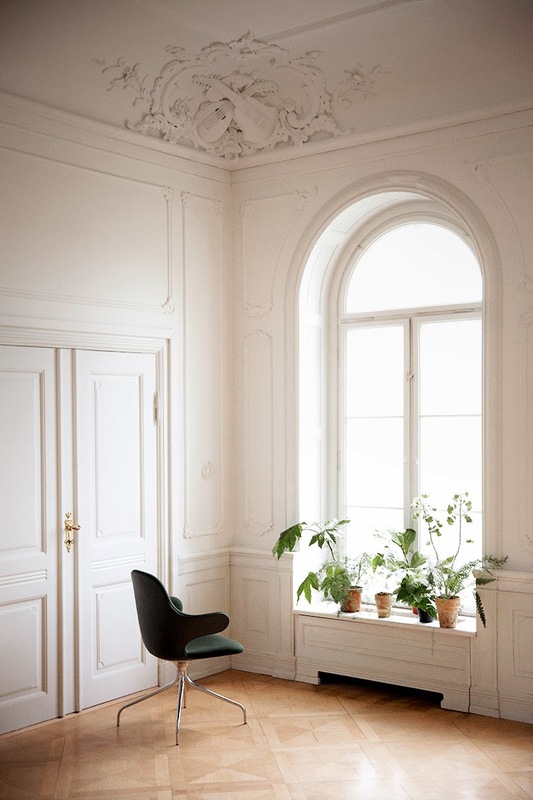 This next pin led me to the blog of amazing photographer Line Klein, which I follow religiously, and is part of photo series featuring the stunning home of stylist Nathalie Schewer. 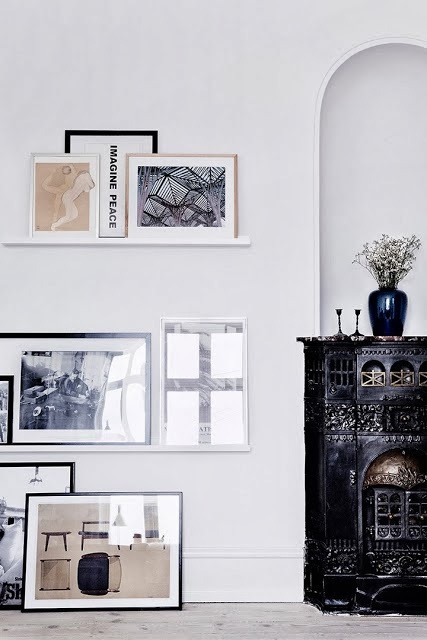 Shot by Line for Elle Decoration DK, and styled by Millle Colin Flaherty, I couldn't help but pin every image! 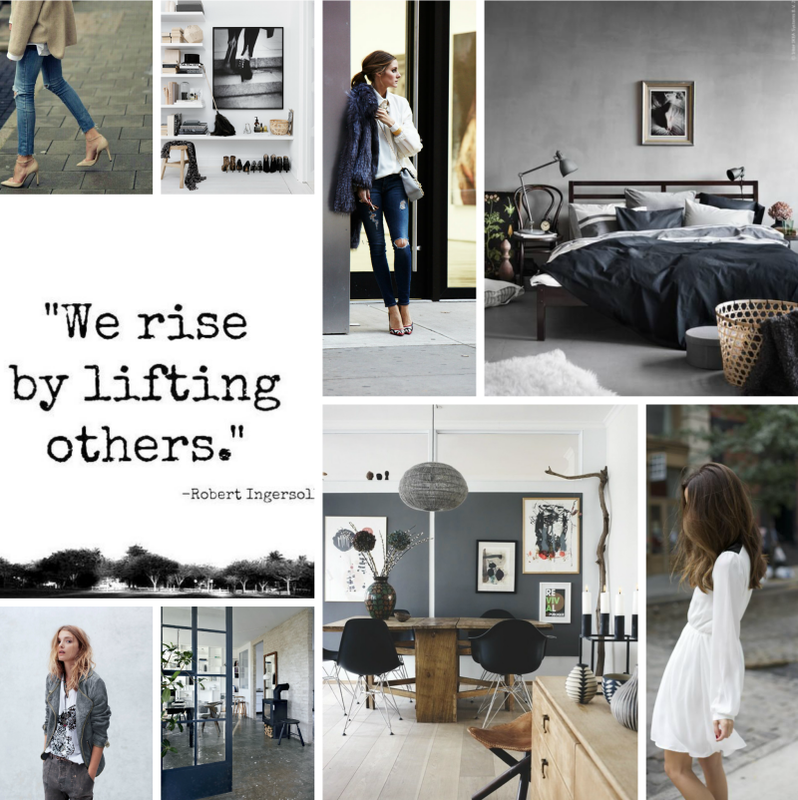 Finishing off with a moodboard today, I think this quote is a wonderful one to remember. 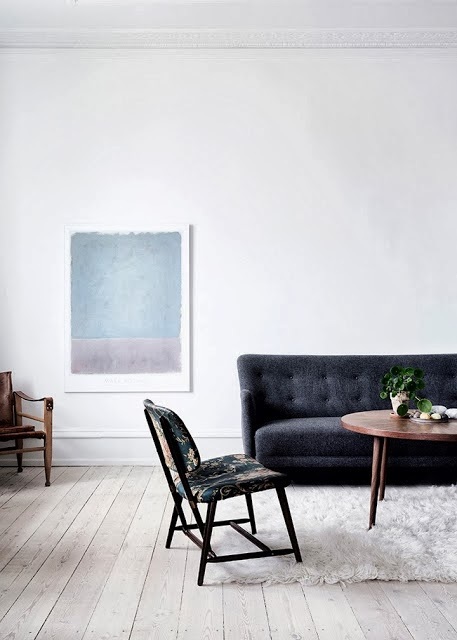 The images are all about moody greys and raw concrete, softened with fresh neutrals and feminine touches. Truly stunning interiors. I absolutely adore the interior for the &tradition shoot, sooo beautiful!